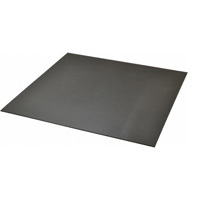 Black Plastic Sheet Manufacturer in Delhi, Black Plastic Sheet Supplier in Delhi, Black Plastic Sheet in Delhi. Black Plastic Sheet in Delhi,Black Plastic Sheet Manufacturer in Delhi,Black Plastic Sheet Supplier in Delhi. We are one of the trustworthy manufacturers and suppliers of a varied range of Black Plastic Sheeting. Made available in different thicknesses and sizes, these sheets are widely used for tank and container building, waste water and chemical process industries. Appreciated for its excellent UV resistance, good electrical insulation and supreme chemical resistance, the proffered series is massively sought after.